Ramps are only in season for several weeks, so I get really excited when I see them for the first time. Unfortunately, you are not allowed to forage ramps in the Netherlands! Ramps –daslook in Dutch- are protected here. Don’t ask me why, because ramps literally grow like weeds. 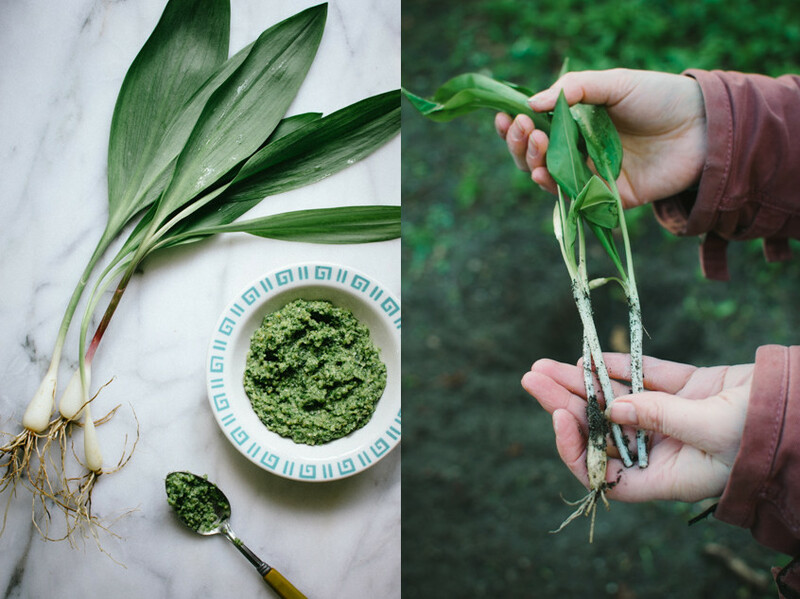 When I was living in the US, I used to pick ramps in the wild and often made soup or this easy pesto with them. Ramps taste and smell like garlic and are one of the first edible plants to emerge in spring. Not far from my house in The Hague, I once found a beautiful field of ramps. I used to pick a bunch of ramps there every now and then, but since they’ve put a fence around it and residents pay extra attention, it’s hard to pick the plants unnoticed. Yes, I admit, there are two kinds of people in this world: those that fully obey and those that do not. However, the good news is that you can get your hands on ramps legally in the Netherlands. Some garden centers sell the plants and seeds. 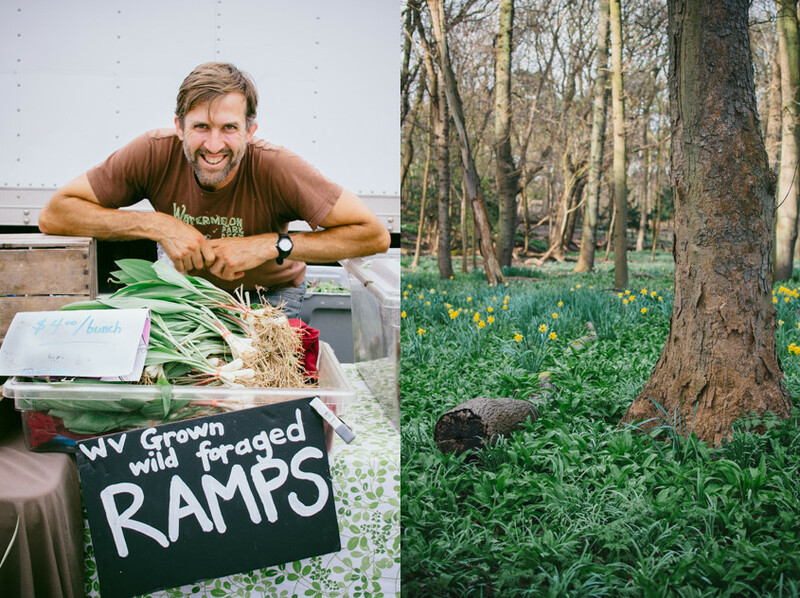 This way you can grow your own ramps and won’t be bothered by anyone while picking them. 1 First make the pesto. Heat 1 tbsp olive oil in a sauté pan and cook the ramps for about 1 minute or until they are just wilted. Cooking them briefly gives the pesto a milder taste, plus if you did pick your ramps in the wild, you eliminate the risk of becoming infected by the fox tapeworm, which is also harmful to humans. 2. Transfer the ramps to a food processor bowl. Add the sunflower seeds, cheese, lemon zest and juice, and olive oil and puree until you have a nice pesto. Season with salt and pepper. 3. Boil the pasta according to the directions in salted water until al dente. Drain, reserving a little of the pasta water. 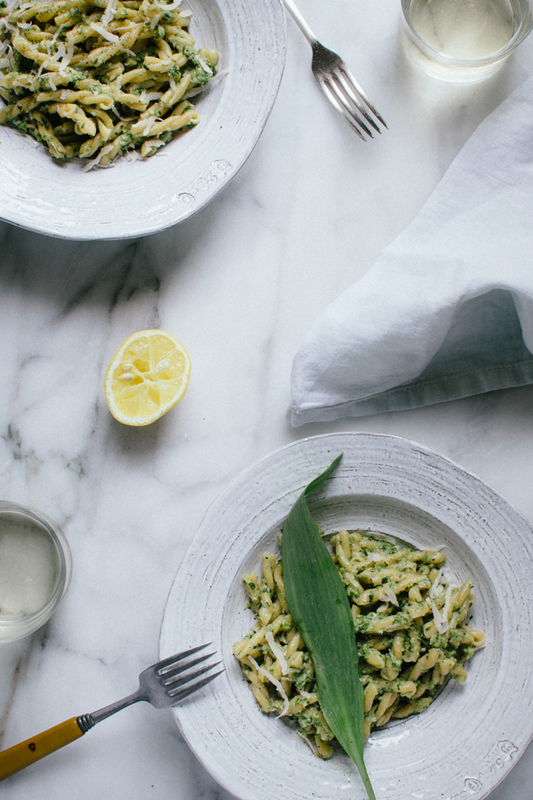 Return the pasta to the pan and mix in the pesto. Toss to coat evenly, adding pasta water if it’s too sticky. Taste, and add some more salt, pepper, and lemon juice if you like. 4. Serve in bowls, topped with more grated parmesan cheese. Dear Culi-leaders, please suggest an alternative for poor us who cannot get their hands on ramps. Bieslook, lente ui? Hi Maaike, a good alternative foor ramps (daslook) is garlic chives (knoflook-bieslook) or Chinese Chives (Chinese bieslook). Please let us know how it turned out.